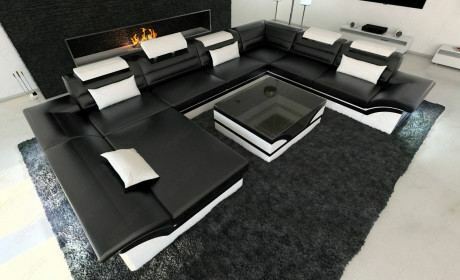 X-Large Sectionals Extra large modern leather sectionals Looking for a couch with a decent amount of seating room to fit into a relatively small living room space? Look no further than the corner! 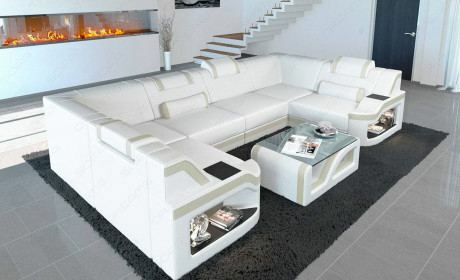 These extra large modern leather sectionals are ideal for keeping company relaxed, entertained and, most importantly, seated. 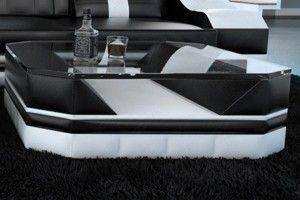 Our design maxim is to combine deep comfort with stylish aesthetics, without compromising either. 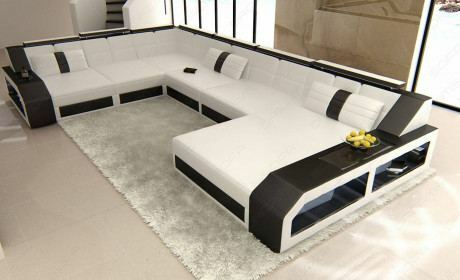 Our assortment of extra large sectionals is a tangible exhibition of our philosophy. 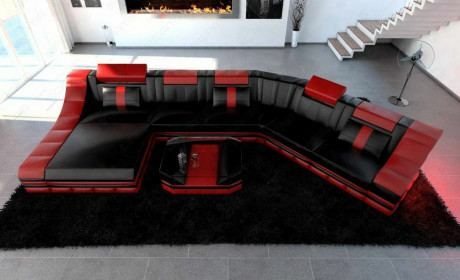 Take a look, then take a seat, and see for yourself! 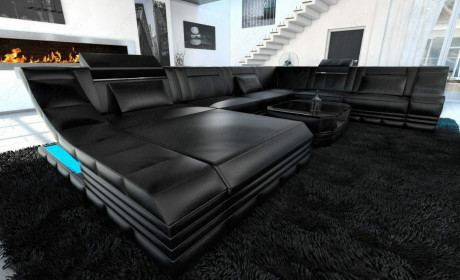 Perfect for everything from busy family gatherings to lazy Sunday afternoon naps, there's an extra large modern leather sectional for everyone. 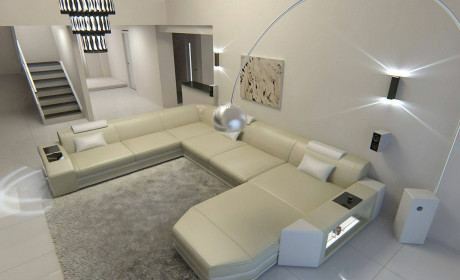 Modern Leather Sofa Hollywood & With LED Lights an USB. 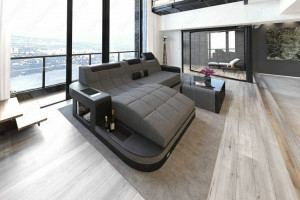 What determines the value of a couch? Is it the quality of its build materials? The effectiveness of its design? 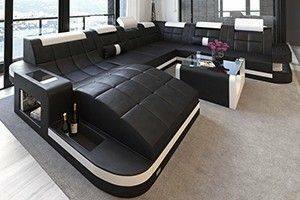 Its level of comfort? At Sofa Dreams, we believe the answer is an equal combination of the three. 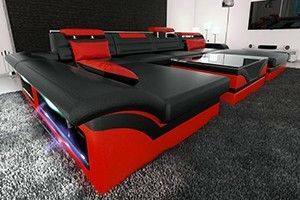 The ideal couch must be built to last, easy on the eyes, and an absolute pleasure to sit down in. We've applied this simple standard to each of our seating solutions, and the results speak for themselves. Our extra large leather sofas are built with the highest quality modern materials, offering a timeless look, years of reliability, and tangible comfort that you can test day in and day out. 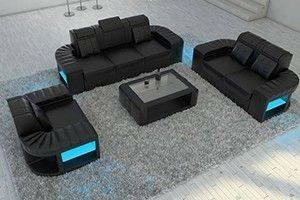 Additionally, these sofas are easy to care for, requiring simple, sparse periodic maintenance in order to keep them shining bright as new. 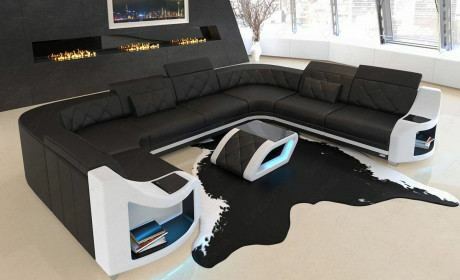 In fact, our Mineva fabric with easy clean technology allows for the removal of even the most persistent stains and spills, such as wine stains, coffee stains, and tea stains. 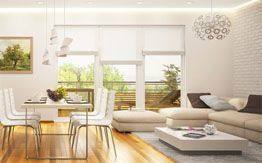 Modern design, at its core, means minimal aesthetics and minimal components that lead to maximal practicality. 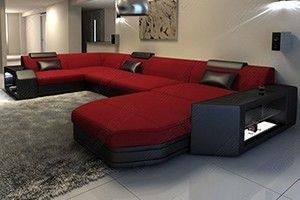 At Sofa Dreams, we understand that building a couch with only short term longevity in mind simply won't cut it - a couch, as a fundamental part of the household, must last for years. 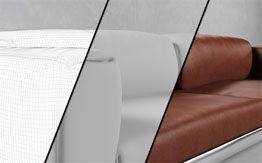 By choosing among our seating solutions, you can rest assured knowing that you'll be receiving a sofa that will be easy to clean, comfortable to nap on, and aesthetically appealing for years to come. 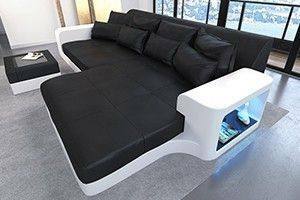 Furthermore, you can customize your sofa to make it entirely your own, choosing from multiple additional features such as integrated LED lighting, adjustable headrests, and an option for a sofa bed. If ever you need help sorting through the choices along the way, a sales representative from our team will be more than happy to help. Regardless of how you often use your living area, there's no reason not to add a little convenience and luxury to your everyday living. Aside from the various additional options we offer, our seating selections are all fundamentally designed the same, each built to last long, provide optimal, consistent comfort, all while standing as its own unique, attractive piece of furniture. 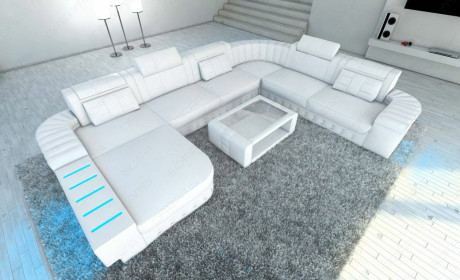 You'd be surprised by our wide range of modern fabric covers, each made for easy maintenance. Take your time to choose the perfect sofa cover for you, or throw caution to the wind and buy a different color for every day of the week! As always, the choice is entirely yours. 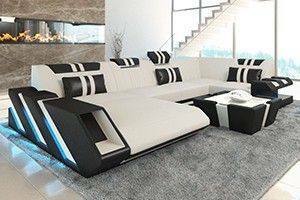 If ever you could use a hand in making it, our customer service team is on standby, always ready to advise you on the various potential living room treatments that we offer. Our consultations are completely free of charge and come with no obligations whatsoever. 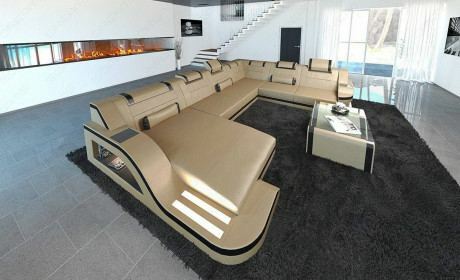 There's a dream living room configuration out there waiting for you, and all we want is to help you reach it. 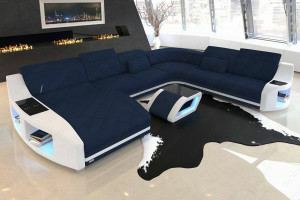 New leather armchair An extra large black sectional can work wonders in terms of filling up the blank space in your living room. 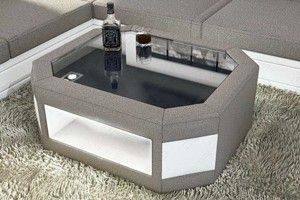 If there happens to be more space that could use some high quality furniture to fill it, don't stop with your new seating solution. Make your living area a true oasis of relaxation by complementing your new seating with a coffee table, TV stand, and perhaps a new leather armchair. 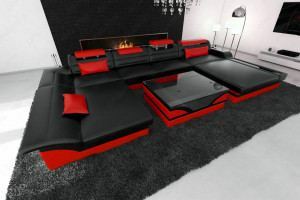 Our product range offers you an incredible amount of room to play in - consult our customer service team for some assistance on finding the ideal configuration that's just right for your living room. Extra large sofas Our collection of extra large sofas are entirely customizable, which means that the ideal seating configuration is waiting for you in our product range. 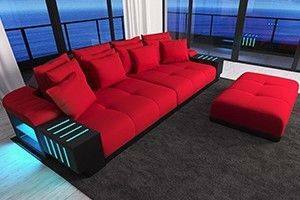 Modify your sofa accordingly with optional adjustable headrests, LED lighting, pull-out side table, and more. 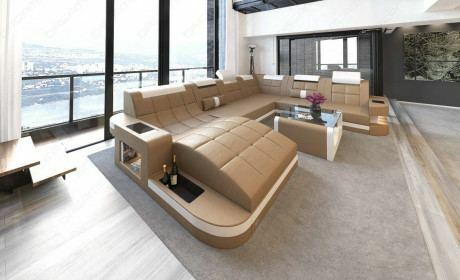 Since the way you use your living room is different than the way your neighbor uses theirs, you'll need functionality options that are built for your lifestyle. Speak to our product range specialists on the infinite configurations available in our seating solutions. 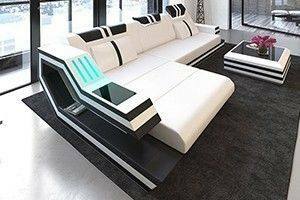 By choosing the right modern furnishing for your living space, you'll make life for your family much more convenient - and fun! 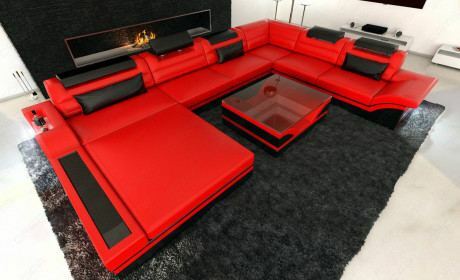 Extra large couches If you're looking for a big upgrade to your living area, we invite you to look through our collection of extra large couches. 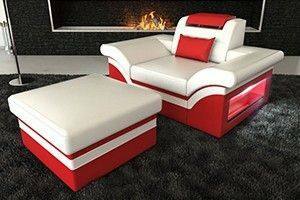 These wonderful seating solutions are available in a wide array of colors, styles, and functions. 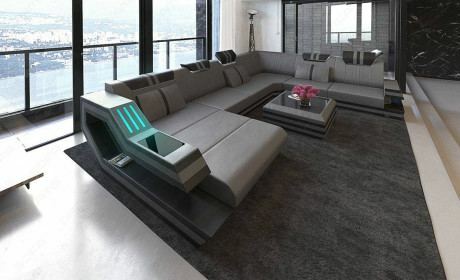 Configure them to feature adjustable headrests, extendable side table, extra storage space, LED lighting, and more. 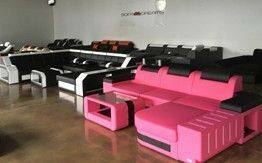 Sofa Dreams offers you the platform to build your own dream furniture. 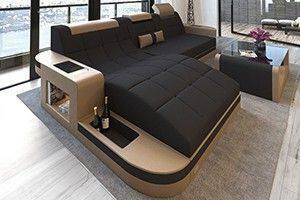 Rest assured that all of our units have been proven to meet basic quality requirements as outlined by the European Union, and all of our furniture have been manufactured using only the highest grade building materials.